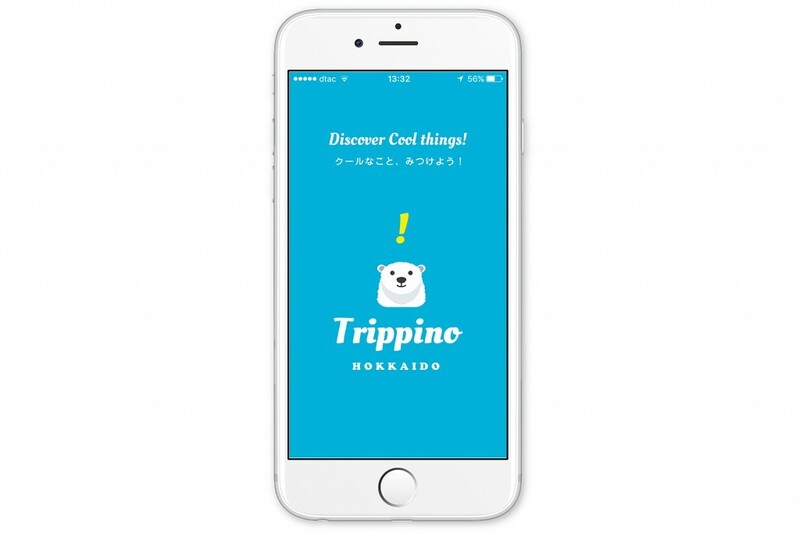 Honoka Super Bath House | Trippino HOKKAIDO - Discover cool things! Are you tired of shopping and looking for a place to rest your body and mind? Honoka is the place for you! 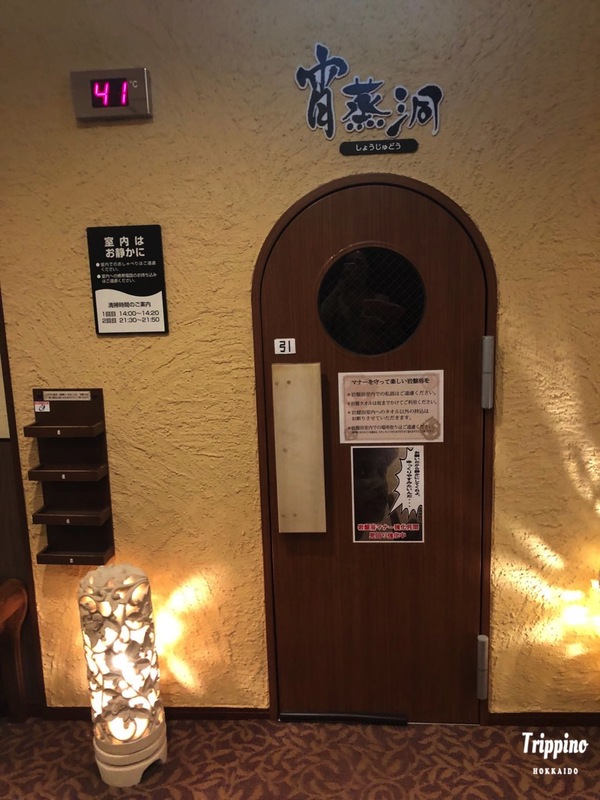 Honoka in Tanukikoji is a female-only hot-bath and sauna facility that is located in central Sapporo. It is the perfect place to relax and enjoy after a long day of shopping and sightseeing. It is also open 24 hours, so you can go there at any hour of the day. 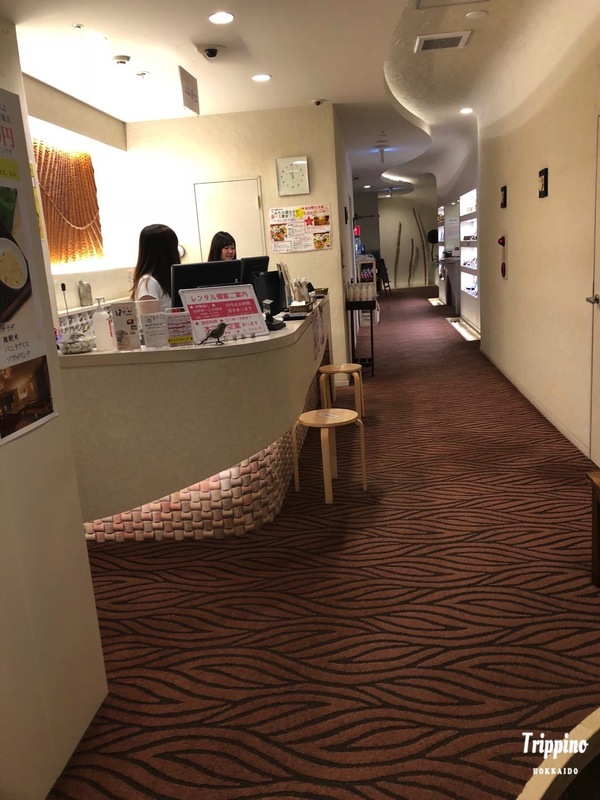 At Honoka, they have various baths, sauna rooms, massage facilities and food services for you to enjoy. They even have a sleeping room for those who plan on staying there overnight! 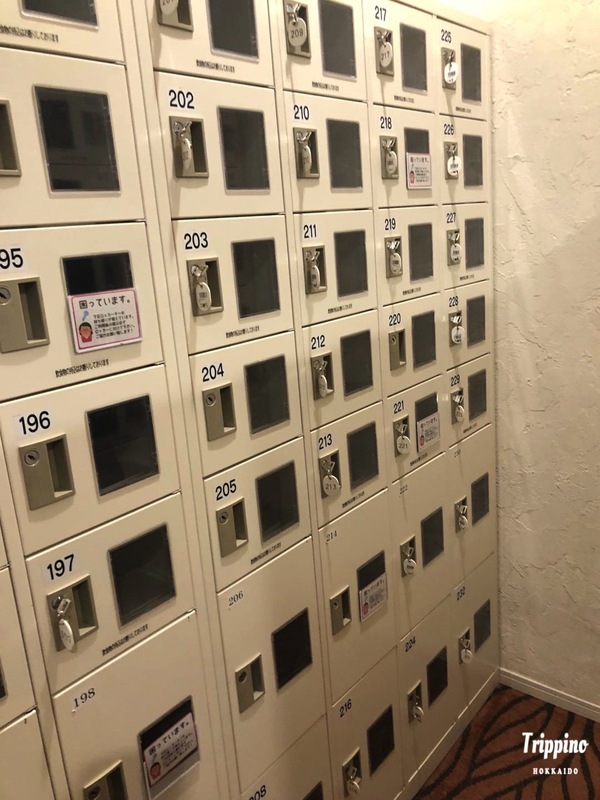 Entering the place, you will be greeted with the shoe lockers and reception desk. Depending on the time that you enter the place, you will be able to choose the course you want to take. The usual course is that you will be able to spend 3 hours in the place for 1,350yen. 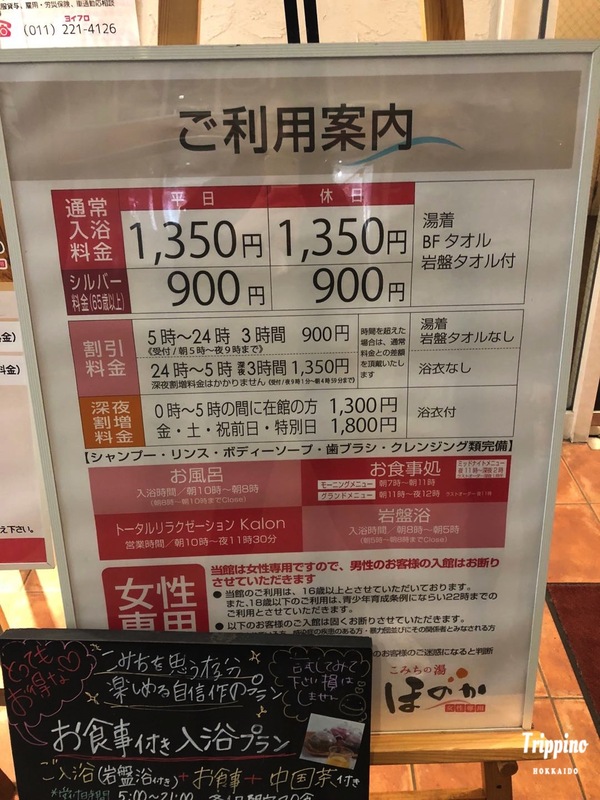 However, if you enter after midnight and wish to stay overnight, you would have to pay an extra 1,300yen. 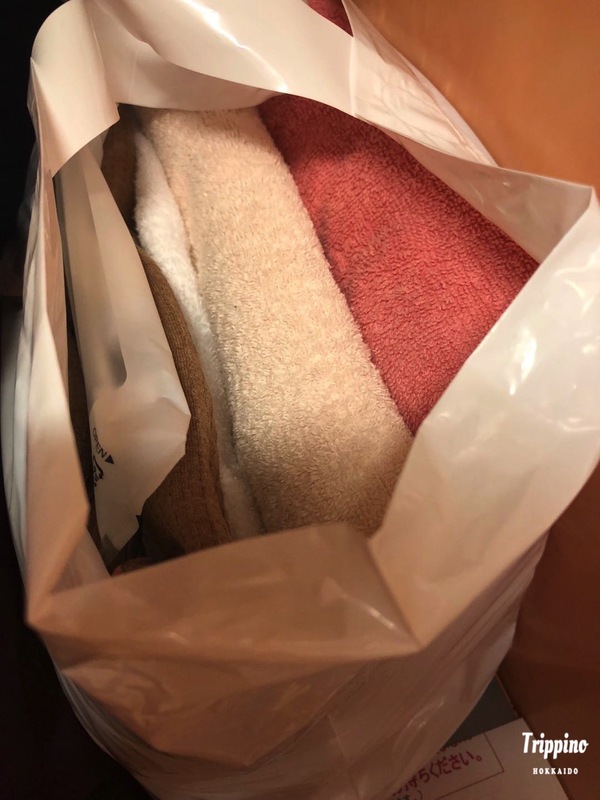 After paying, head in and there will be a counter for you to collect your towels and clothes to wear in the sauna. They are all put neatly into a bag so just take it and go. 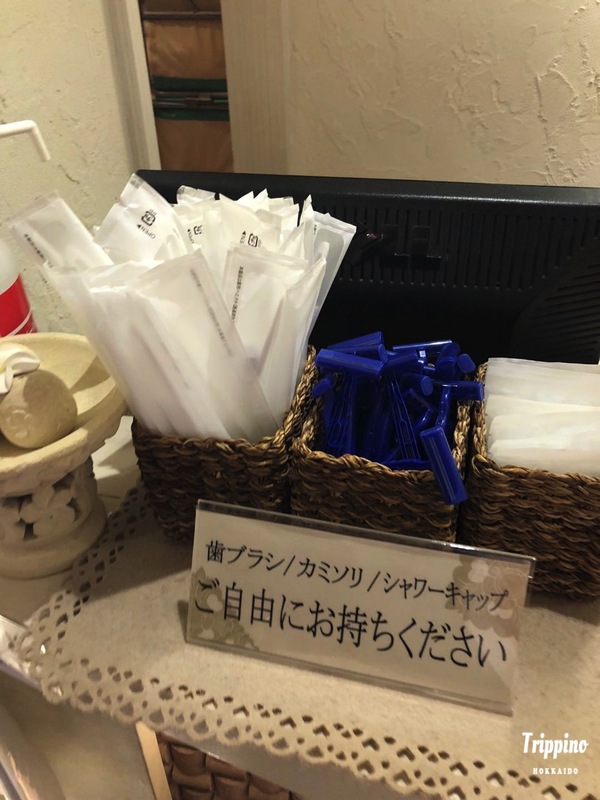 Toothbrushes, shower caps and shavers are also provided for you to take freely. Following that, head on down to the B1 floor, where the changing rooms and baths are located. Here, the use of mobile phones and taking of photos are strictly forbidden. Also, before heading to the sauna rooms, it is the etiquette to take a shower in the shower room first. 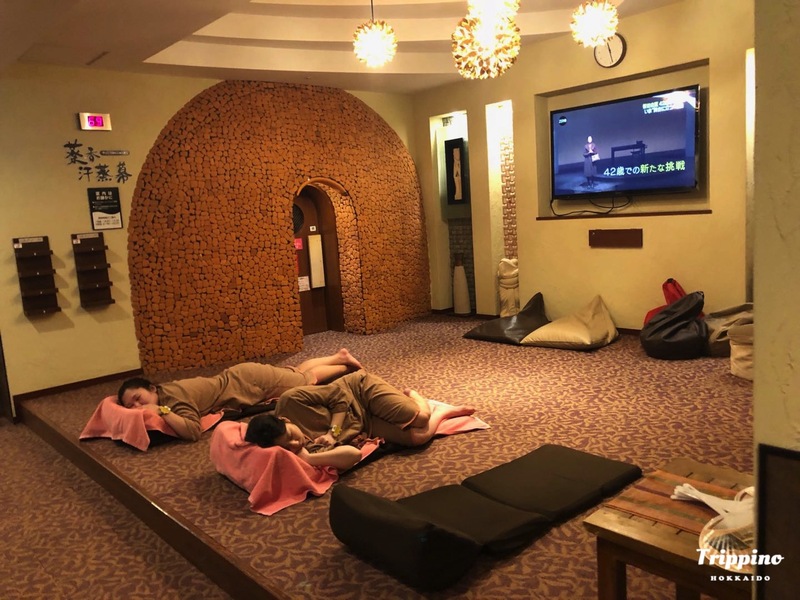 After the shower, put on the robes provided and head to the sauna rooms! 3 sauna rooms with different temperatures and uses are provided. In each room, depending on where you lie, there are also different uses and kinds of floors. There is the jaded flooring, rock-salt and others. If you feel too warm in the rooms, there is a lounge area outside where you can just relax and watch television. 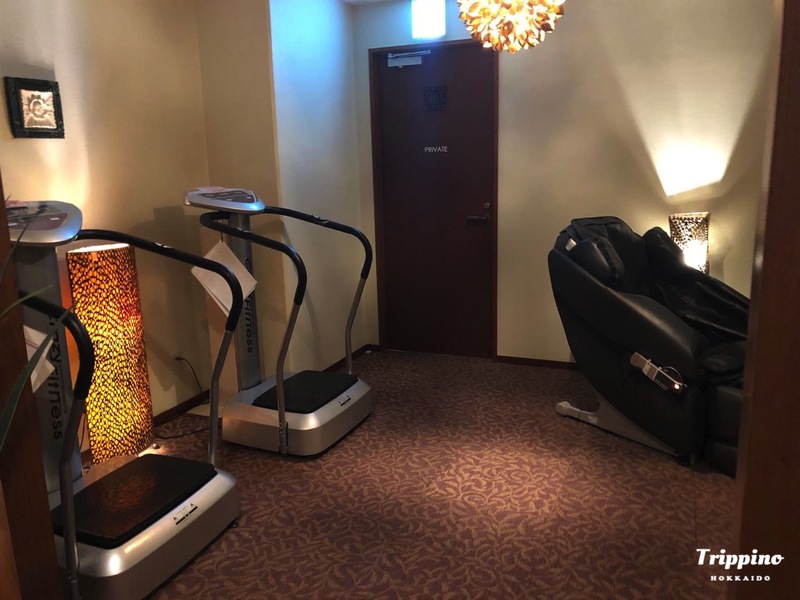 Besides that, there is also an area where massage and exercise machines are located. If you get hungry after sweating everything out, have a meal at the restaurant. 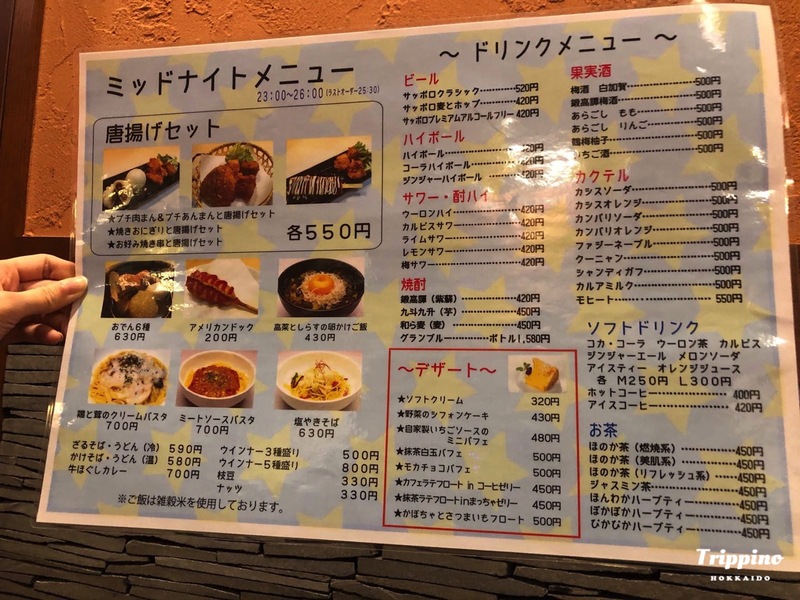 They have food such as yakisoba, rice balls, fried chicken and pasta. 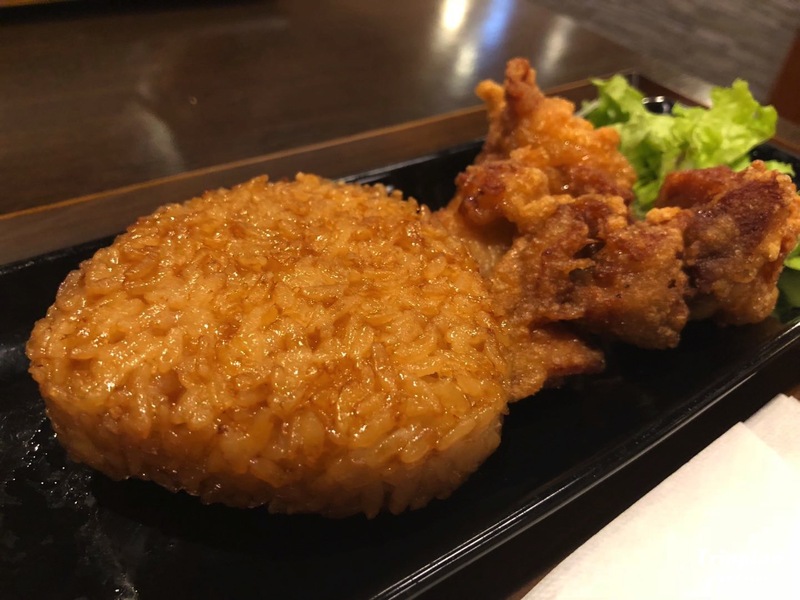 We tried it out, and the food was really tasty! 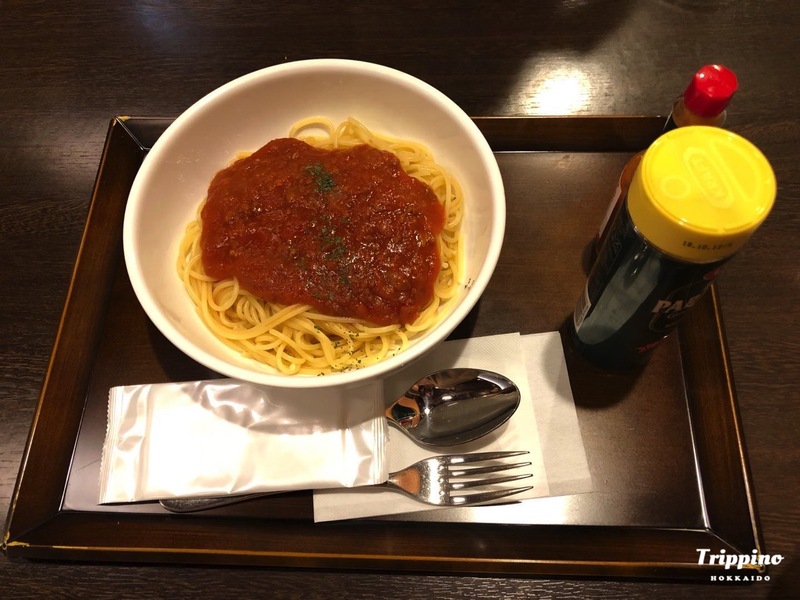 We had a set of rice ball and fried chicken for 550yen and meat sauce pasta for 700yen. Lastly, end off your Honoka experience with a soak in the 3 baths available. The baths have different properties and changes daily. All of which provides ultimate relaxation and allows you to soak your stress off. 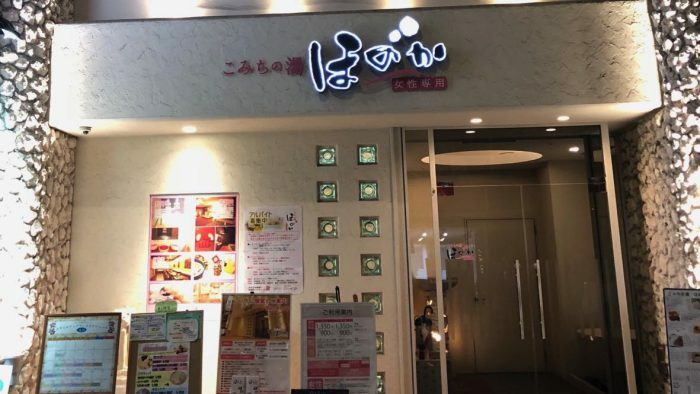 Do pay a visit to Honoka when you are at tanukikoji. I guarantee that you will not regret it!